More than 200 women are to become the first in East Yorkshire to see the same midwife from the start of their pregnancies to the birth of their babies. 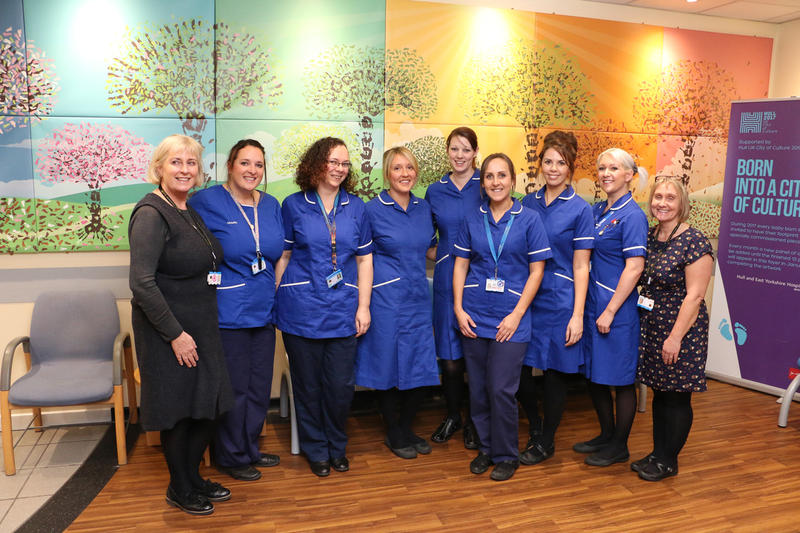 Known as the “Ivy Team”, the seven midwives will look after pregnant women from their very first appointment right through antenatal visits and parenting classes. Each midwife will be responsible for caring for 35 women. When she goes into labour, the woman will be able to contact her midwife who will meet her at Hull Women and Children’s Hospital or will come to her house if she has opted for a home birth. Janet Cairns, Head of Midwifery at Hull University Teaching Hospitals NHS Trust, said: “During a national review, half of the women questioned said they would prefer to see the same midwife during their pregnancies. “We want women to have a positive experience and this change will enable our team to work closely with them to offer a more personalised approach to maternity care. Known as “continuity of carer”, closer relationships between a woman and her midwife can empower the woman with a greater sense of control, reduce stress and anxiety and enable the health professional to gain the trust of the woman, allowing them to identify and monitor potential problems. Studies have shown women experiencing continuity of carer were 16 per cent less likely to lose their babies before 24 weeks and 24 per cent less likely to have their babies too early. The new way of working was recommended in a national review of maternity services in 2016 called “Better Births” when women said they saw too many different midwives and doctors during their pregnancies. Half of the women questioned rated having the same midwife before, during and after birth as five out of five in terms of importance to them, with an additional 23 per cent of women scoring it four out of five. Professor Jacqueline Dunkley-Bent OBE, Head of Maternity, Children and Young People at NHS England, visited the trust this summer to learn about plans for introducing the new model of care. Now, the seven midwives – Nikola Donner, Charlie McSherry, Nicole Blake, Frances Hodgson, Vicki Ward, Kirsty Flemming and Natalie O’Reilly – will become the named midwives for 220 of the 700 pregnant women from the Beverley area from November 26. While they will have their own group of women to look after, the midwives will be introduced to all of the women and will meet them on regular occasions. Charlie McSherry said: “While the aim is to ensure the women see the same midwife each time, there will be occasions such as annual leave or when a midwife’s not at work and someone else will step in.